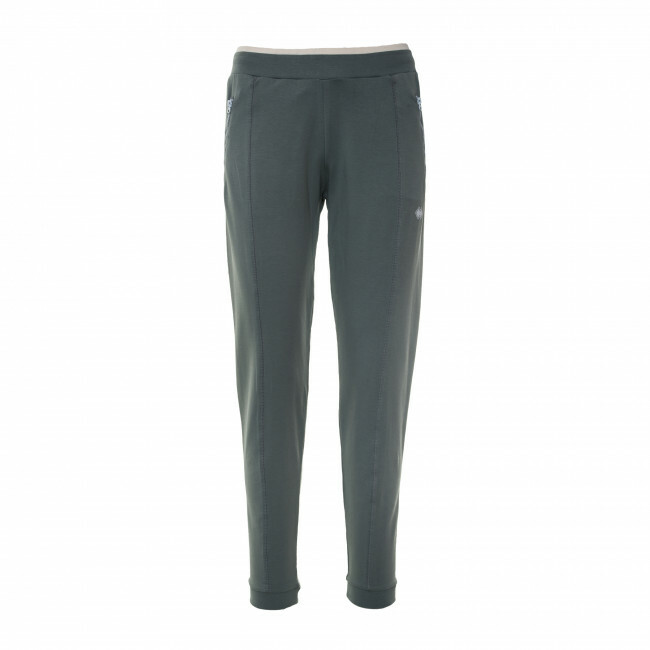 Women's trousers inspired by team sports but revisited in a new modern key. They provide comfortable wearability, slightly closer fitting at the bottom thanks to the elasticated ankle cuffs which ensure carefree and lasting wearability. Fitted with elasticated waist band for a comfortable fit. Composition: Summer Elastic Fleece 95% Cotton, 5% Elastane.